Rene Arnoux took victory in Germany after ignoring team orders, just as he had done a year earlier at the French Grand Prix, which had led to the irreparable breakdown in the relationship with his Renault team-mate Alain Prost. 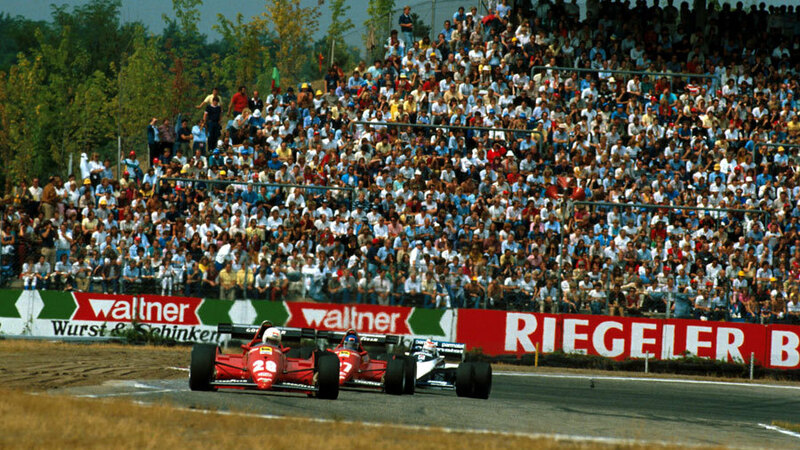 This time the upset party was Ferrari team-mate Patrick Tambay, although the race's outcome was not affected. Tambay started from pole despite suffering an electrical fault during the warm-up which necessitated a frantic replacing of his engine which was completed just in time for him to start. But to his surprise, Arnoux stormed past on the second lap, although in the event it mattered little as Tambay retired soon after with a recurrence of the electrical problems. Nelson Piquet was another who had pre-race troubles with his engine overheating but his could not be resolved and he had to switch to the reserve Renault. He had closed the gap on the Ferrari so successfully that Arnoux turned up his engine boost to counter the challenge, but in the event Piquet's day ended when his Renault caught fire after a blocked fuel filter caused petrol to spill onto the hot engine. That left Arnoux ahead of Andrea de Cesaris who gave Alfa Romeo its best result since its return to the sport in 1979 with Riccardo Patrese third. Prost, who also reverted to his reserve car and completed the race without a fifth gear, left Germany with his lead in the drivers' championship extended to nine points after his fourth-place finish. The McLarens of Niki Lauda and John Watson came fifth and sixth but Lauda was subsequently disqualified for reversing his car down the pit lane after overshooting the team garage on a pit stop. The progress shown by Lotus at Silverstone was checked by ongoing issues with the new car which led to both entries retiring within ten laps.